Antony's bean is still leading the Great Bean Race in B4. 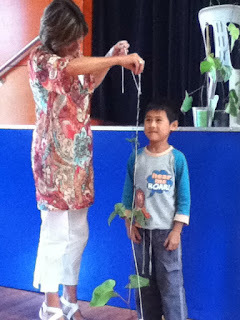 We took his giant bean to the Junior Assembly today and his bean was the biggest in the whole Junior school! 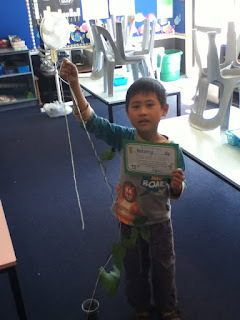 He got a special certificate for growing the biggest bean this week. I wonder whose bean will be the biggest in B4 next week? 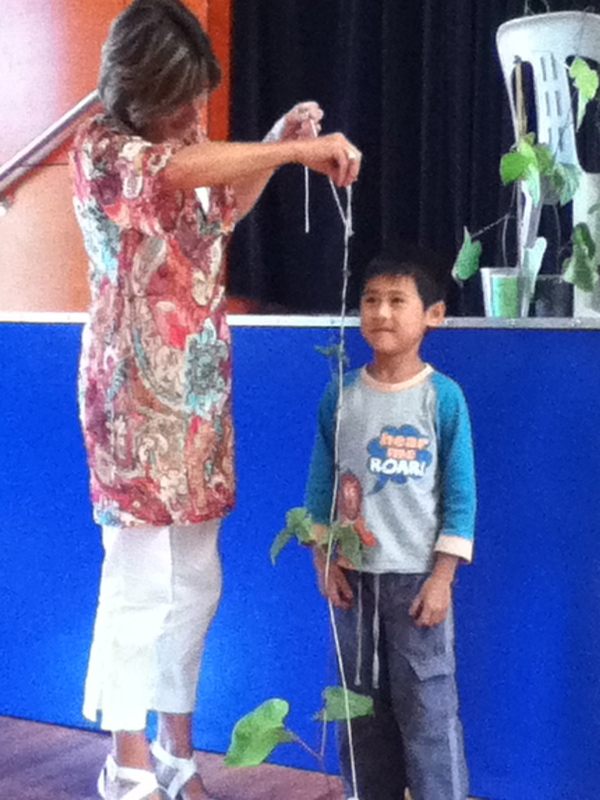 Here is our judge, Mrs Gwilliam, measuring Antony's bean at the Junior Assembly. It is taller than he is! 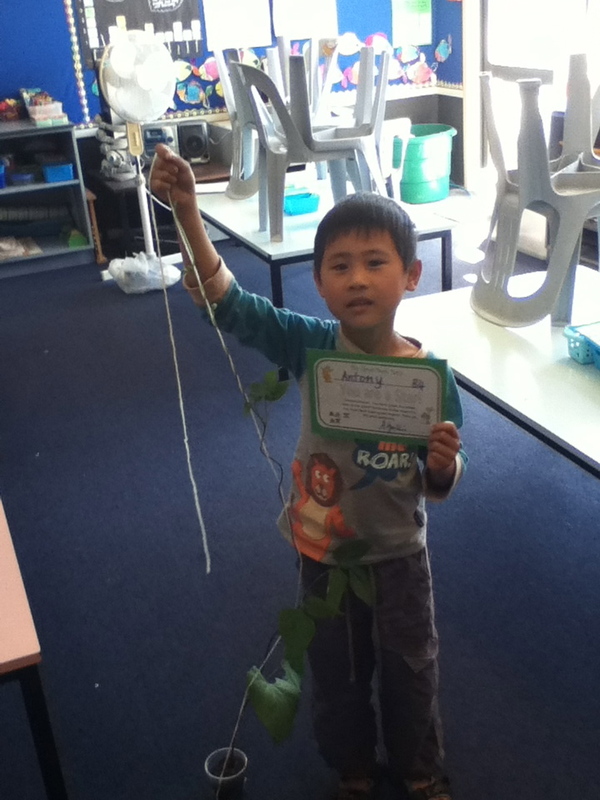 Here is Antony proudly showing us his certificate and his bean plant. Well done Antony. You must be an excellent gardener! Brillant big bean Antony! Great growing! Your bean is very great Antony. I wish that was my bean!